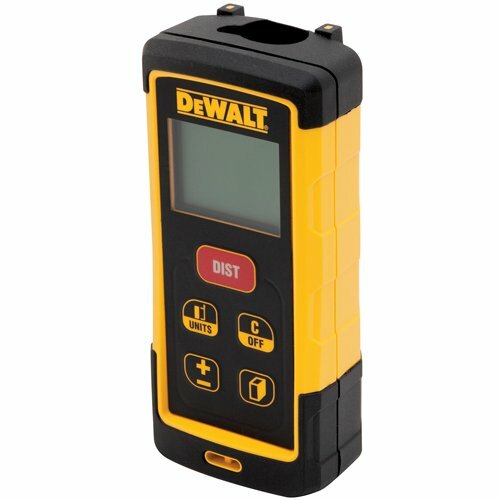 Welcome to Architect Gadgets and to the DEWALT DW03050 Review! In this post, we will review the laser measure DEWALT DW03050 to clearly explain what it can offer. After reading this post, you will have a complete understanding of what its strengths and weaknesses are. Not sure if this is the right product for you? 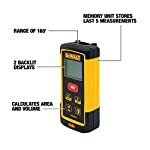 Then check out our 10 Best Laser Measures for Architects post, where you will find the ten best laser measure devices for Architects. Still here? Then let’s get started with the review of this product. We want to be crystal clear about how we do things here, so we would like you to explain how we have reviewed this product. That’s about it. For now, we are doing the research that, otherwise, you should be doing when buying a product. Moreover, we are also writing it all down in a, hopefully, clear and entertaining way so it is easy and fast for you to digest. We hope you find it useful! 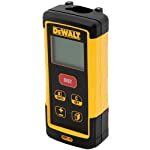 With 4.6 out of 5 stars (312 reviews) on Amazon.com at the time of this writing, the DEWALT DW03050 is a perfect choice for Architects who visit site fairly often, use the laser measure for interiors only and are looking for a strong and resistant product. What sets the DEWALT DW03050 apart from its competitors in the same category is its robustness. With a 6 feet (2m) drop tested, and IP65 water/debris resistance, it is a perfect choice for those of us that tend to drop (and break) our new gadgets. With a range up to 165 feet (50 metres), it does a great job when you need to do surveys for “as-built” information on almost any project. As far as accuracy is concerned, it varies depending on the distance you are measuring. According to the instruction manual, between 2 inches and 33 feet, the accuracy is ±1/16 inch (1.5 mm). At 98 feet, the accuracy is ±3/16 inch (5 mm). At 131 feet, the accuracy is ±5/16 inch (8 mm). And to measure distances beyond 131 feet up to 164 feet, you’ll need to use a target plate. The accuracy is probably the main weakness of this model compared to others that appear in our list of 10 Best Laser Measures for Architects. However, it is still more than enough for the type of measurements you are most likely to take as an Architect. Although you will be able to use it in exteriors under certain circumstances, it has been designed to be used in interiors only so you should be mindful of that if you purchase it. Much more resistant to water and dust ingress than all the other products in its price range. Cannot be mounted on a tripod. Due to this, the triangulation mode should be used for estimations only. Some people mention that the batteries don’t last very long and that they are somehow difficult to change. With a 6 feet (2m) drop tested, and IP65 water/debris resistance, it is a perfect choice for those of us that tend to drop (and break) our new gadgets. You will find a lot of low-quality products claiming a certain accuracy but not being able to deliver it consistently. With the DEWALT DW 03050, however, you get the accuracy of high-end products for the price of a mid-range. Although it does not achieve the same accuracy of other products featured here, it is still enough for the type of work you are most likely to do. A very useful feature that makes reading much easier, especially in conditions of low or no light. DeWalt is an American worldwide brand of power tools and hand tools for the construction, manufacturing and woodworking industries. It is a subsidiary of Stanley Black & Decker. In our opinion, the DEWALT DW03050 is a great choice for Architects that go to site fairly often and, especially, for those of us that tend to drop (and break) our new gadgets. As we said before, please bear in mind that you will only be able to use it outdoors in certain circumstances. 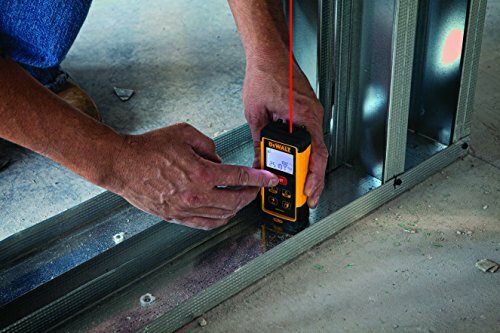 Therefore, we would recommend checking the “Laser measures for interiors and exteriors in buildings of all sizes” section of our 10 Best Laser Measures for Architects post if you want to buy a laser measure that can be used outdoors.